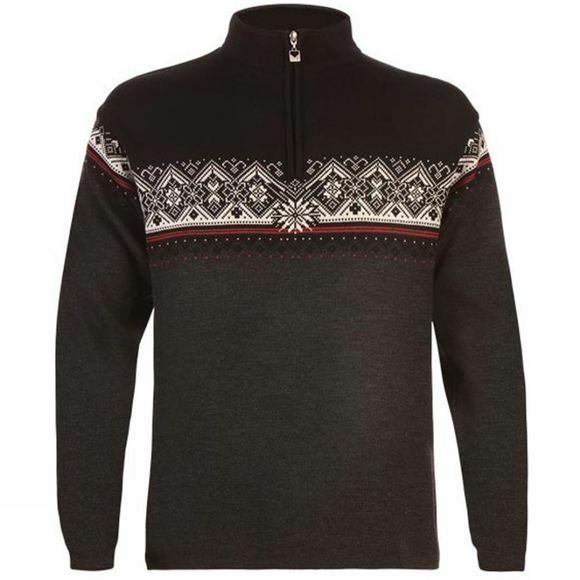 Dale of Norway Men's St Moritz Half Zip Sweater is a bestselling classic, based on the original St. Moritz World Ski Championship sweater. Fine-tuned from 130 years of experience from the team at Dale of Norway, they provide you with the most beautiful knitted patterns in wool, whilst keeping you warm and comfortable. The St. Moritz Men's Half Zip Sweater design combines authentic elements in a sporty yet refined look. Constructed using Dale of Norway's innovative comfort knit technology, it provides you with a comfortable feel, fit and stretch, in a double layer skinsoft Merino.